Pt. 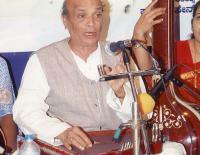 Nagnath Wodeyar is a well known Hindustani vocalist of Karnataka. This gem of a musician was born at Bakapur, (Dharwad District)in 1944. He was fascinated by music right from his childhood. He began his intial riyaz under the careful guidance of Lae Shri V.H. Inamdar in the year 1955-56. He passed the Sangeet Visharada Cousre at Gandharva Maha Vidyalaya with distinction. He has completed Karnatak Government's VIDVAT examination in First Class. 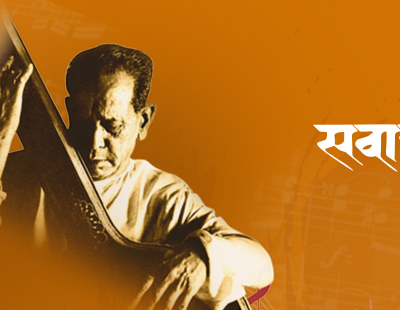 After many years of rigorous training under his primary guruji, he was fortunate enough to get introduced by his uncle Late Shri Raghvendra Chavate a distinguished sculptor to Padmavibhushan Dr. Gangubai Hangal, the doyen of Kirana Gharana , to honing himself to the perfection under the inimitable. After another 15 years of tireless Riyaz from Dr. Gangubai Hangal his unmatchable performances began broadcasting from All India Radio from 1974. He has given Chain Booking programs in the States of Maharashtra and Goa namely, in the cities of Pune, Aurangabad, Nagpur and Panaji and also splendid performances across the country, prominent among them are Mumbai, Hyderabad, Madras, Bangalore, etc.